It's time to keep your worries away about how to dress to look slimmer, i know you are worried about appearing slimmer on your date tonight and you feel it seem impossible but i tell you that with some little hacks which am about to show you, you can be able to look slimmer when you dress, just following this few tips and fashion hacks i would be showing you in this wonderful post of how to dress to look slimmer without dieting. I would be giving the best 10 dressing tips on how to dress to look slimmer without dieting, how to dress to look slimmer in photos, how to dress thinner, how to dress to look thinner in summer, how to look skinny for guys, how to dress to look slim and tall, how to look slimmer in jeans, how to look skinny overnight, so without no further ado let head straight to the talk of the day. Let me just make this straight once and for all. People think that by adding more layers means adding extra pounds or extra size, but that’s really not the fact. Adding layers gives your body the right fitting it needs. And it prevents people from having a direct view of your body. If not for anything, it is really a blessing! Everything about your fashion style and wardrobe have to be all black. I understand the beauty and good looks whites and pastels give, however, just keep it all dark and black as much as possible can add all the spice. Swear by shapewear; it’s a blessing indeed. It shapens fat around the midriff, hips, and thighs effectively. And it also helps in making you look slimmer. Try getting some for your self and you will be thankful later. 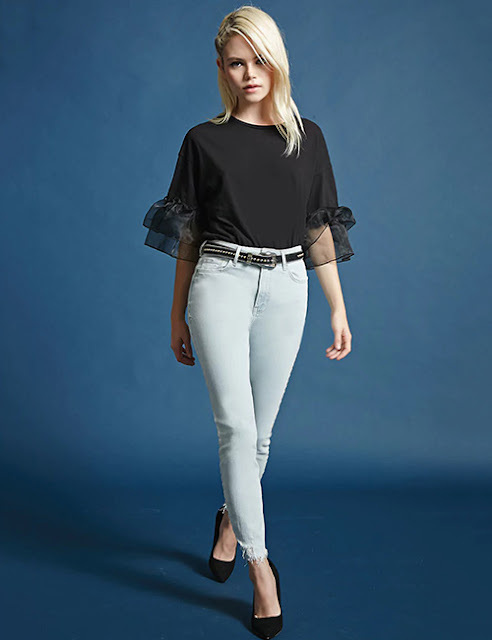 High-waist jeans should be on one of the top wears you should have on your mind because they tuck in most of the flab and helps in making you look slender, tall, and slim and also beautiful. The ones that are black, stretchable, and stop near your ankle are what you should invest in. Innerwear is a big part of this whole story and is the base for everything you will build on. It is not advisable to wear a sloppy bra and thongs that add more attention to what you are putting on. Wear a bra that is fully your size and without bulges; your underwear should preferably be stretchable and high up to your waist so as to cover the flab. Either way, good undergarments are very important and hs more than one advantage, so invest them. 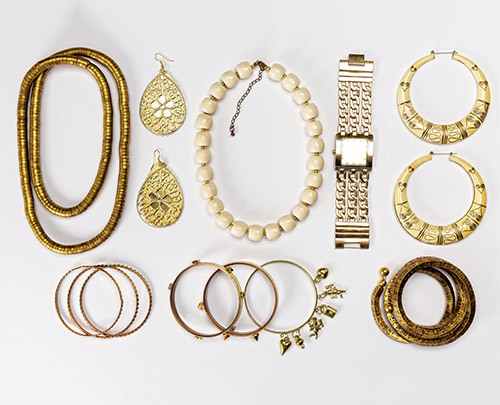 put on some jewelry and spice up your look with details like a necklace, earrings, scarf, bandana, watch, etc. It keeps bringing the flattering words to your way. If you decide to go with shapewear, do well to consider belts that are dark and big or the one that grips you well at the waist. Avoid anything that has horizontal prints, be it big or small. Vertical print dresses with nice deep necks are what you really need if you want to look slimmer and taller. 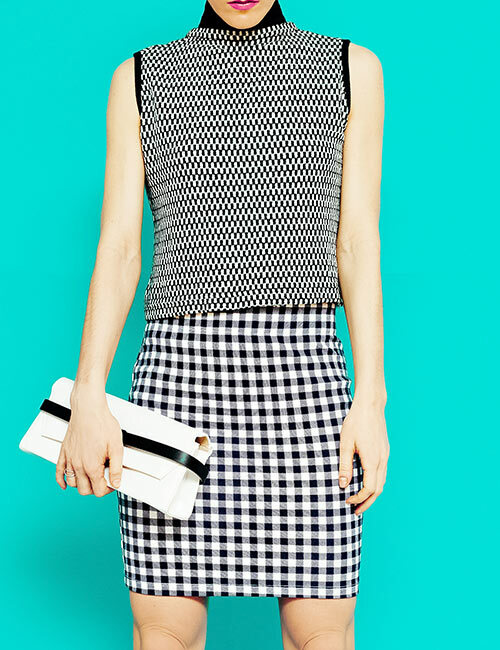 And also, patterns that have A-line cut or a pencil skirt can create a blossom look for you. wearing your separates instead of wearing matching sets is a better picture of you. Especially colors entail black, blue, gray on them. putting on a loose shirt or a top with fitted trousers would definitely work towards your advantage. You could also try it the other way round, but avoid that if your midriff is always your pain area. Also, body-hugging clothes are a no go area for you. And last, but not the least, everything we practice won't come out fine if you don't have the right posture. It play a big difference to your silhouette, so pay more attention to it. What Colors Make You Look Thinner? The answer to this is definitely black or dark colors, because nothing helps to give you that slim shape as much as black does. Luckily, for most of me, it is my best color too. What Clothes Make You Tall And Slim? putting on vertical stripes will make you look slim. And this is a legacy that has been passed on by the fashion legends. Having said all this, you do not have to fully stop horizontal designs as long as they are not body-hugging. Small printed dresses, polka dotted tops, self-design tunics dresses, and flouncy maxi dresses are also one of the best options that gives you that tall and slim look. It is also given that high rise jeans with a straight cut can twist the eyes into giving you an elongated look. Keep the top flowing and also loose, but not too loose either. Loose boyfriend T-shirts and tank tops are one of the other best options you have. I have mentioned this before and i would also mention it again – anything in black automatically gets full thumbs up. When we talk of black, It also mean the little black dress. If you feel are too conscious, get shapewear and pointed footwear instead of getting broad wedges. You will see the magic your self. 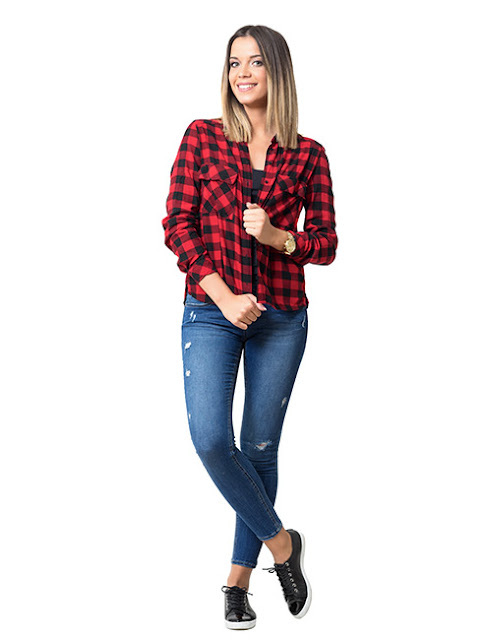 Rock that best plaid shirt with jeans or with jeggings, but bare in mind that size matters. Shirts that are either too big or too small can spoil it all for you. If there is one fashionable outfit that can give you that dapper and relatively thinner look, it is the pencil skirt. You just have to rock it with a well-fitted (not too tight nor loose) shirt or a chiffon top and throw on a nice eye catchy neck piece. I tell you, It would put a smile on your face. Consider corset style gowns or A-line cut dresses that cinch near the waist and balloon out below. If you are conscious about your arms, get yours customized with sleeves of any length to add definition and detailing. It makes a lot of difference to your overall body outline. Again, the trick that works wonders for any one piece dress is to wear the right shapewear inside. For evening dresses, try color blocking, especially in dark colors. Also, go with deep V-necks and side and center slits that can distract people. Since most prom dresses come in lace, tulle or sheer fabrics, try the ones that come with inbuilt spandex. Yes, those can be saviors. 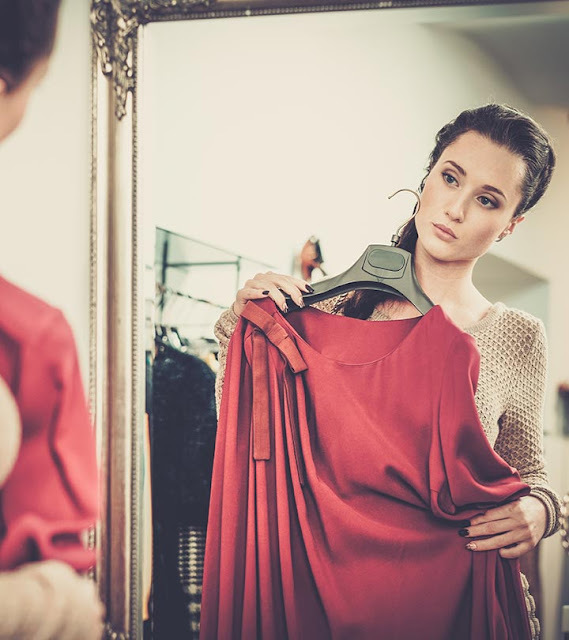 If you want to look like you have been magically dropping sizes overnight and fake an hourglass figure, try the deep V-neck body-slimming dresses that are snug yet not skin tight. You know the kind of dresses women in media wear. Try one of these and thank us later. Now that we know how to dress to look slimmer, what are you waiting for? Curvy women or some of us who are not-so-confident about our bodies tend to have a lot of mind blocks and miss out on a lot of fashionable clothing just because of this. Don’t just give in to it, there are always workarounds and hacks that you can resort to. Lastly, we do not have to submit ourselves into what is considered beautiful, but learn to work with our bodies with confidence! Hoping this article helped you. Feel free to drop in a comment if you have any more questions, and don't forget to share fashion shouters post with your friends and family. how to dress to look slimmer without dieting, how to dress to look slimmer in photos, how to dress thinner, how to dress to look thinner in summer, how to look skinny for guys, how to dress to look slim and tall, how to look slimmer in jeans, how to look skinny overnight.